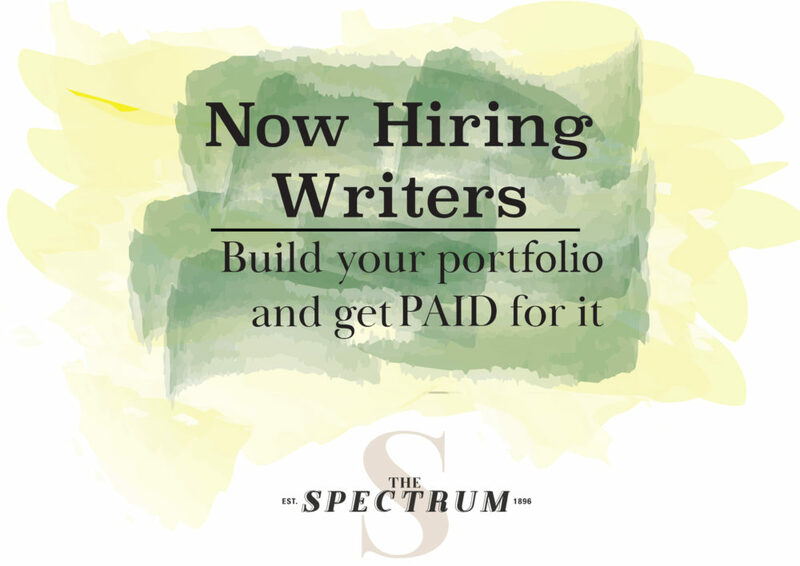 GRANT GLOE | THE SPECTRUM The trashiest thing you can buy at Wal-Mart folks. I hear food reviews are hot right now, so I’ve got one fresh out the oven. Ha, God, I’m hilarious. If food is your deal, my editor Erik has a great college food review column (or so I’ve heard). I can’t let him hog all the fun. 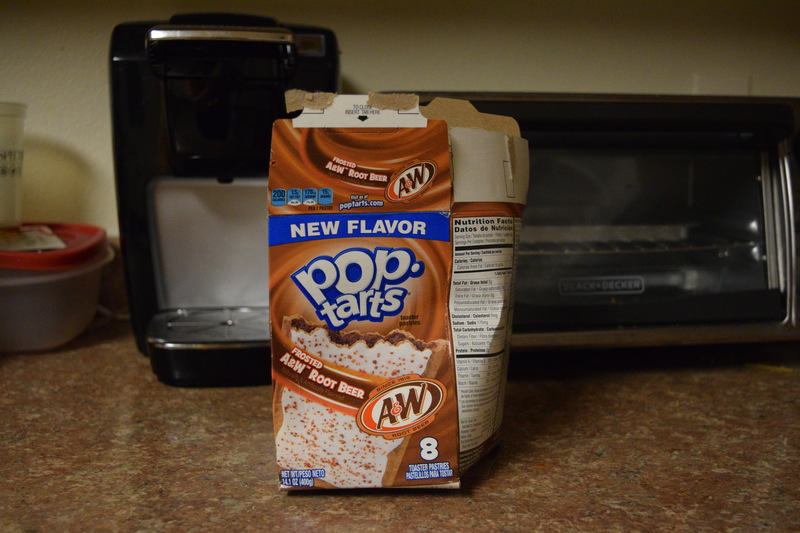 I thought I’d get in on the action by reviewing a specialty dish of my own: A&W Poptarts. 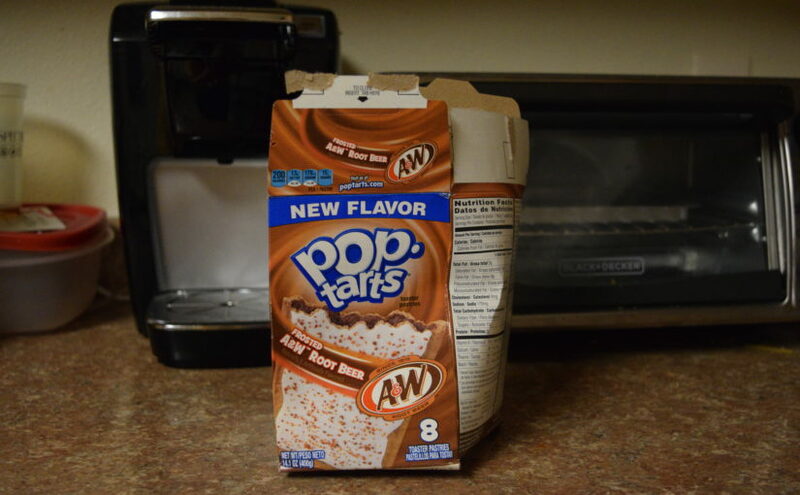 Now if you were wondering what is the trashiest thing you can buy at Wal-Mart, the answer is A&W Poptarts. I bought them at my roommate’s request and haven’t looked back since. It makes driving in reverse slightly dangerous, but fortunately, there are not as many speed bumps in the Niskanen parking lot then I remember. The taste is rich and delectable. Wait no, the other one: discomforting. It tastes a lot like the more popular “brown sugar” flavor, but with that root beer tang no one wanted and no one asked for. I was all for a root beer pastry, but not like this. Dear God, not like this. I follow one simple rule when it comes to toasting Poptarts. Fruit flavored? Toast. Anything else? Nope. I had to break my own rule, however, for the sake of science. I toasted my soda-pop Poptarts and the taste was, I guess we could say, something. The tastes became rich and succulent. Unfortunately, that taste was a blend of soap and antifreeze. Trust me, I’ve tasted both. I also recently added packaging tape to that list, but that’s an article for another day (it’s non-toxic, right?). I sit here eating my last packet of A&W Poptarts and I’m reflecting on the taste for hopefully that last time. The frosting is sprinkled with what I can only assume is expired “pop rocks” for the express purpose of doubling the crumbs on my desk. The mess left behind is a reflection of the disaster that is this slight against Mother Nature and the good name of the root beer industry. Someone in the world is a Poptart executive who sees this abomination when he closes his eyes at night, the demon he drags with him wherever he goes and will eventually sink his soul to the deepest bowels of Hell. I give them a 6/10; they’re OK.